Spending the weekend in an Audi Q5 SUV, courtesy of Silvercar by Audi. It’s a premium luxury car rental service that allows users to book a car, via a seamless mobile booking app, known as Silvercar by Audi. As someone who loves to drive and get away for the weekend, the rental option is great for quick getaways and super easy to utilize. Plus, the service also offers complimentary luxury car seats from Peg Perego, so for families with little ones in tow, it is super convenient. And, for families with 4-legged friends, they offer dog car seat covers and pet hammocks in the Audi A4 and Q5 models. 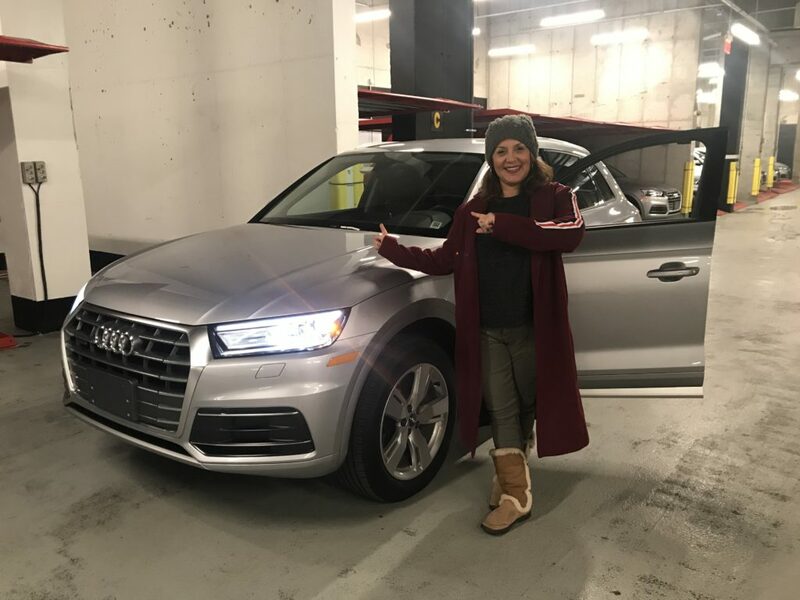 The Silvercar by Audi experience is an app-based premium rental car service for people who want to rent cars in style and without all the hassle. No lines! No paperwork! 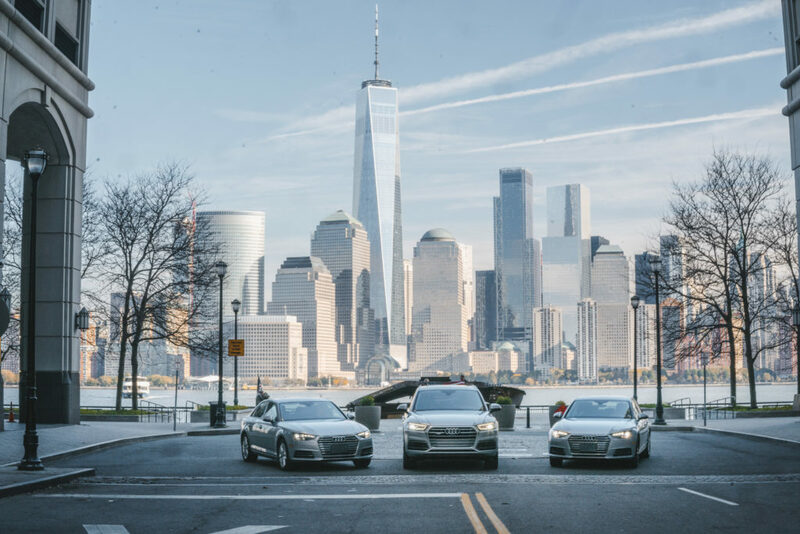 Silvercar offers Audi A4 sedans, Q5 SUVs and A5 Cabriolets with onboard Wi-Fi, navigation, and SiriusXM satellite radio—always included at no additional cost. The Audi fleets include the quattro® all-wheel drive, Audi virtual cockpit with Google Earth™, and Audi smartphone interface. The Audi Q5 is an IIHS Top Safety Pick and received Best Auto Tech award from KBB. Not sure who is having more fun with the fully-loaded options; WiFi, Bluetooth, and heated seats to name a few. But, taking advantage of my Apple radio in the car has been a treat. And, using the Google maps app with the onboard navigation system and the display is a lot better than looking at my phone for directions and music. Of course, now my kids think we need to buy the car, but for now, we will keep renting this gorgeous car. All Silvercar customers benefit from no fuel upcharges, no mileage restrictions, no additional fees for toll charges, and no fees for luxury Peg Perego car seat rentals. Prices start at $59 per day for the Audi A4 and $79 a day for the Audi Q5. Locations include Brooklyn, Manhattan and Newark, NJ for city-dwellers. But, there are 20+ locations across the country, including most large airports. 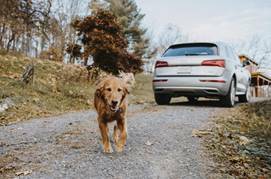 Silvercar by Audi just wrapped a successful holiday program, known as The Four Feet Fleet program– a “paw-some” special holiday promotion that allowed travelers with dogs the ability to take their furry friends along for the ride home or on their holiday vacation. FiDi Families Insiders: Take advantage of a fabulous promotion available to first-time customers, courtesy of FiDi Families: 20% off code is valid until 6/1/2019. Simply use the promo code FiDi20. 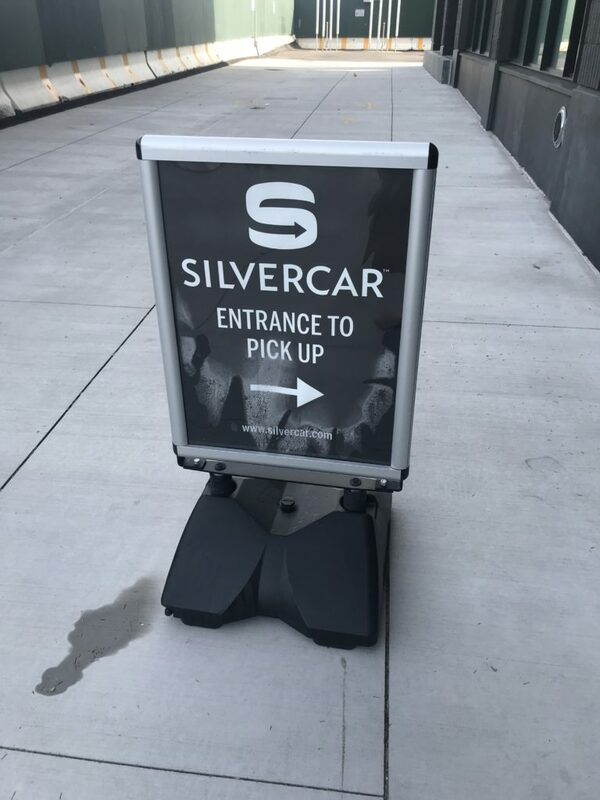 To get started, just download the Silvercar app for iPhone or Android or visit Silvercar.com and then request a reservation. After reserving a Silvercar, customers can fill out this form to let Silvercar know that your pet will be traveling with you. Follow us on Instagram for stories from this weekends adventures in our 4-wheel beauty, the Audi Q5. Tired of the same ‘ole birthday party? Be the hostess with the most-est that your kids and their friends will enjoy! 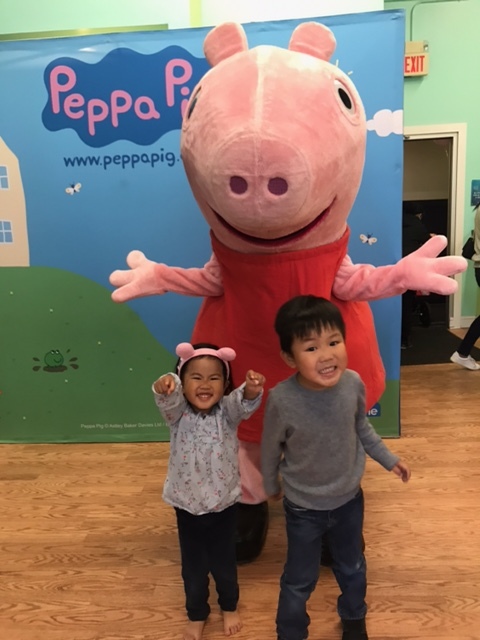 Be one of the first to have a party with Peppa Pig at The Little Gym, which includes everything needed for a memory-filled day while sparing parents the time-consuming hassles and pressure-filled process of planning a party. And the best part? A portion of the proceeds benefit Peppa’s Charity: Muddy Puddles Project, for pediatric cancer research. 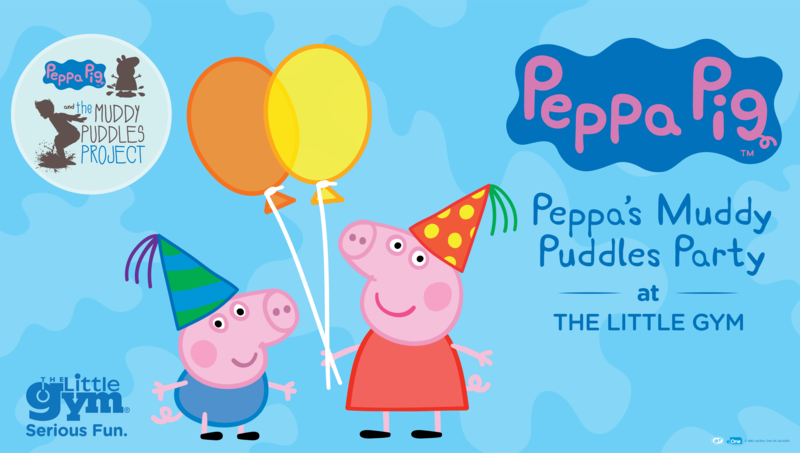 Entertainment One’s Peppa Pig joins The Little Gym to bring you the best birthday party for your little one! In this season of giving, a birthday party with Peppa teaches little ones to use their birthdays as a vehicle to donate to others. 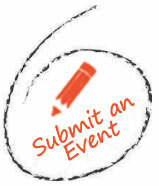 Guests may donate to The Muddy Puddles Project in lieu of or in addition to a gift for the birthday child. What better way to introduce and reinforce “giving to others” to your children! For more information, contact your local Little Gym for details here. Pillowland, Based on Laurie Berkner’s Hit Song, is the Newest Interactive Play Your Kids Will Love! 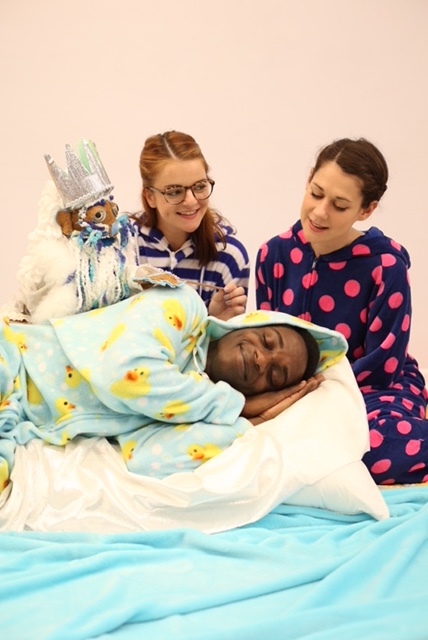 Pillowland is an interactive play about a boy named Stanley that cannot fall asleep. He and his friends go on an adventure to find out how to sleep, and you can tag along for the ride! Stanley always has trouble falling asleep – even counting sheep doesn’t help! When he receives an invitation to visit the Kingdom of Pillowland, he sets off on an exciting adventure with his friends Finn, Quinn and audience members are invited along for the ride! This show is perfect for the entire family, including the first time theater goer as we even brought our 3-month-old and did not feel out of place. 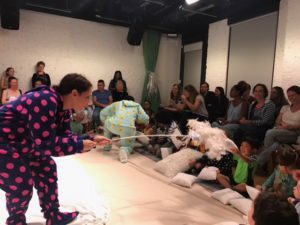 My 5 & 3-year-olds are veteran theatre goers, but they especially loved this novel experience of an interactive performance. Kids and adults were all laughing hysterically and embracing the fun. 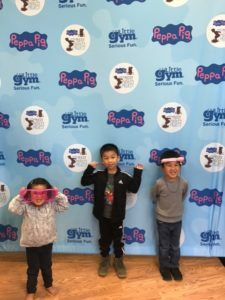 All of the kids were encouraged to participate and laugh throughout the show. Veteran or newbie, your kids do not want to miss this amazing show! And, as huge fans of Laurie Berkner, we loved getting to see her song “Pillowland” come to life. This would make a great birthday surprise to friends or holiday gift with grandparents. We are even taking our nieces and nephews visiting from out of town that are too young for Broadway shows but want to experience the theater in NYC! 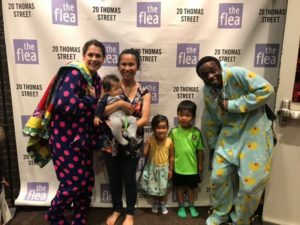 FiDi Families Insiders: Feel free to come to the show in your PJ onsies! Perfect for rolling out of bed and straight to the theater on Sunday Mornings. Stay after the show for a chance to meet the cast. Team FiDi Families was invited to many events during the month of October in recognition of the fact that October is Breast Cancer Awareness Month, which is organized by national and international charities every October. 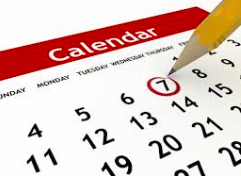 The various events help bring attention to research and development and to offer support to those affected by breast cancer. We were lucky enough to attend the Pilates on Fifth Breast Cancer Awareness event known as Pilates for Pink. This informative event focused on post-operative pilates workouts and how pilates and exercise can assist in breast cancer recovery. The panel was led by the twin co-founders, Katherine and Kimberly Corp, who are the co-founders of Pilates on Fifth, but the twin sisters are former Rockettes. They are also co-authors of a new book, “Pilates for Beginners”. 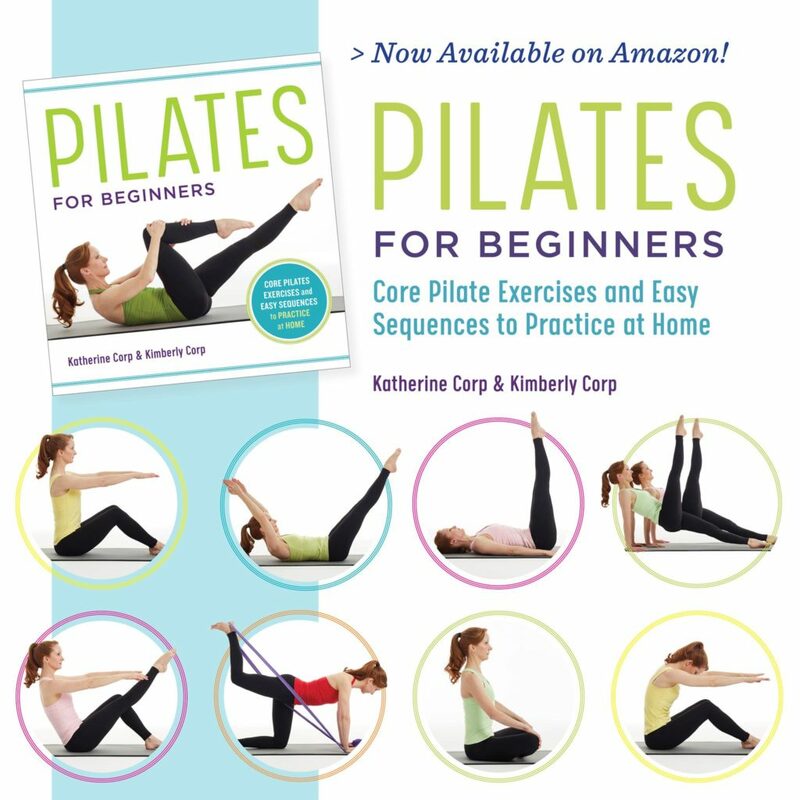 The book focuses on core pilate exercise and easy at home sequences. Guests were treated to lite bites as well as complimentary manicures by Gina Hicks, the Founder of GLH Nails. Her vegan polish was a hit with all the attendees. 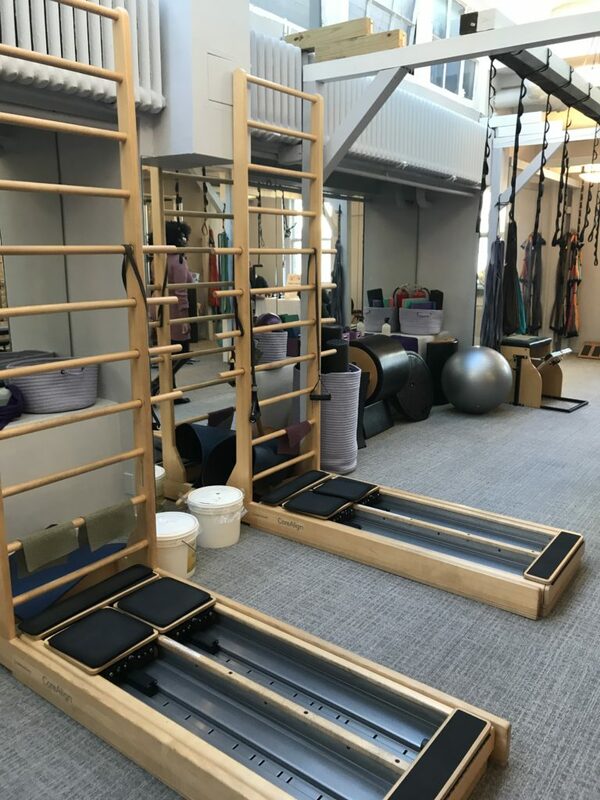 Pilates on Fifth is also offering a two-week complimentary trial to try their classes at home, by visiting their website HERE. The at-home program is great for beginners or advanced level pilates. 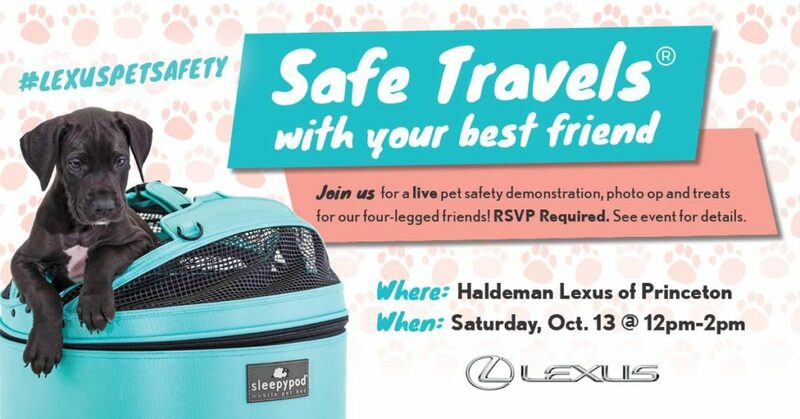 FiDi Families recently had the chance to attend a Lexus Pet Safety Event with The Girls Guide to Cars Team in Princeton, NJ. It was a fun morning full of education and networking as we learned about simple but effective ways to keep four-legged friends safe, while traveling. 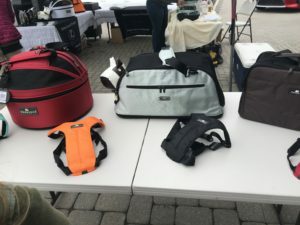 We met with the team from SleepyPod about different options for a harness, a travel carrier for a variety of weights and for feline friends, as well. At the end of the day, only 6 states have official regulations and laws to keep pets safe in vehicles. But, pet owners have the ability to keep their four-legged pets safe, on their own. 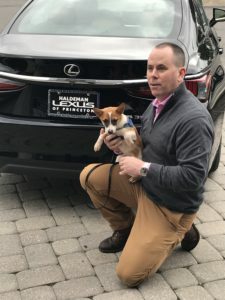 Which is why it was great to see the support that Lexus has for pet, transport and the well-being of these important family members. 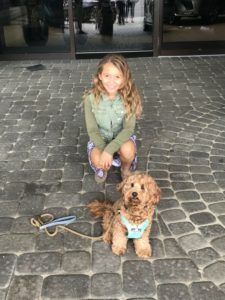 We loved all of the models of Lexus and by the end of the event, I was ready for a new car and my daughter was ready for a dog. Sadly, we didn’t leave with either, but look forward to sharing what we learned with our friends with pets.